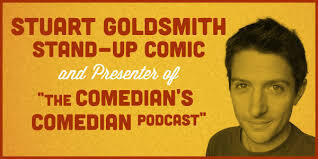 Comedian Stuart Goldsmith interviews ‘the funniest people in the world’ and asks them in depth about how they do it. He’s spoken with over 200 people including Jimmy Carr, Russell Brand, Stewart Lee and Russell Howard… Jess is honoured to be the first impressionist Stu’s invited into the show. Jess “Mighty Voice” Robinson is a phenomenal vocalist and impressionist, who has her audiences in tears of bliss as well as laughter. We talk about her experience on “Britain’s Got Talent” when she was “outed” by press as a seasoned professional, and learn how to survive stage school. Finally Jess overcomes her desire to please, and very honestly and painfully reveals why a standing ovation never seems “enough”..